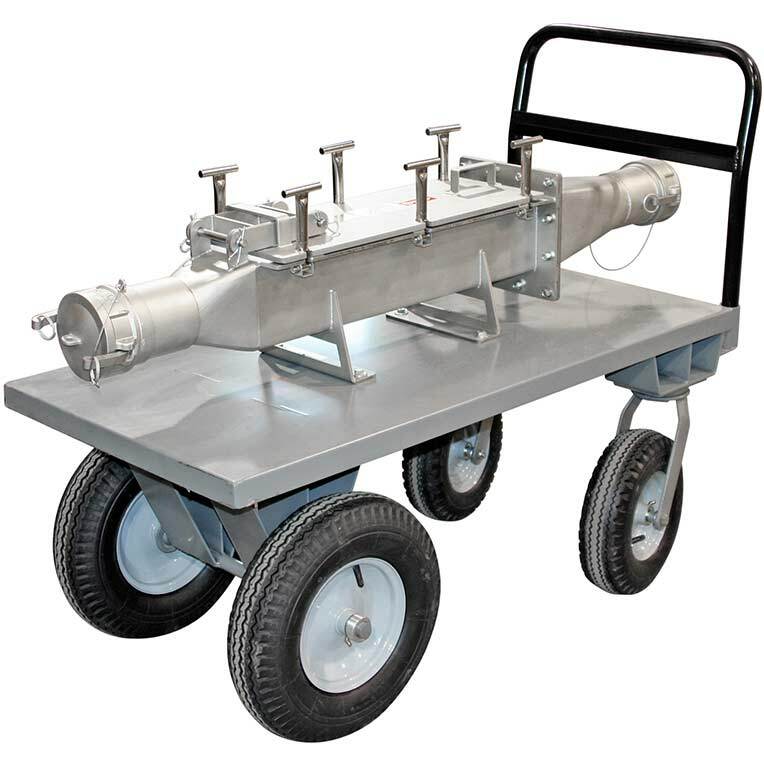 Aerodynamically shaped with a solid stainless steel nose cone diverter, the flow-thru design of the Bullet® Magnet maintains uniform velocity in-line flow, allowing it to be used anywhere in the pneumatic system. It is commonly used ahead of processing equipment and bulk load out to assure product purity and protect machinery from tramp metal damage. Ideal for dilute phase systems, typical Bullet® Magnet applications include: movement of powder and granular, flour, chemical, plastic, food stuff, pharmaceutical and mineral materials. Now designed with 52 MgOe Rare Earth magnet material, IMI's Bullet® Magnet provides an exceptionally powerful magnet field to capture fine particle ferrous or weakly magnetic contaminants that were previously unattainable. The new EZ-Clean Stripper Collar allows for fast cleaning and removal of collected tramp metal. Easily installed with compression type couplings, the Bullet magnet is available in sizes ranging from 3" to 8" diameters, with custom sizing and options available upon request. Our Sanitary Grade Bullet Magnets are certified by HAACP International and fully conform to HACCP International's Food Safety Standard (0909MAGSEP 1-2010) for direct contact with food product. 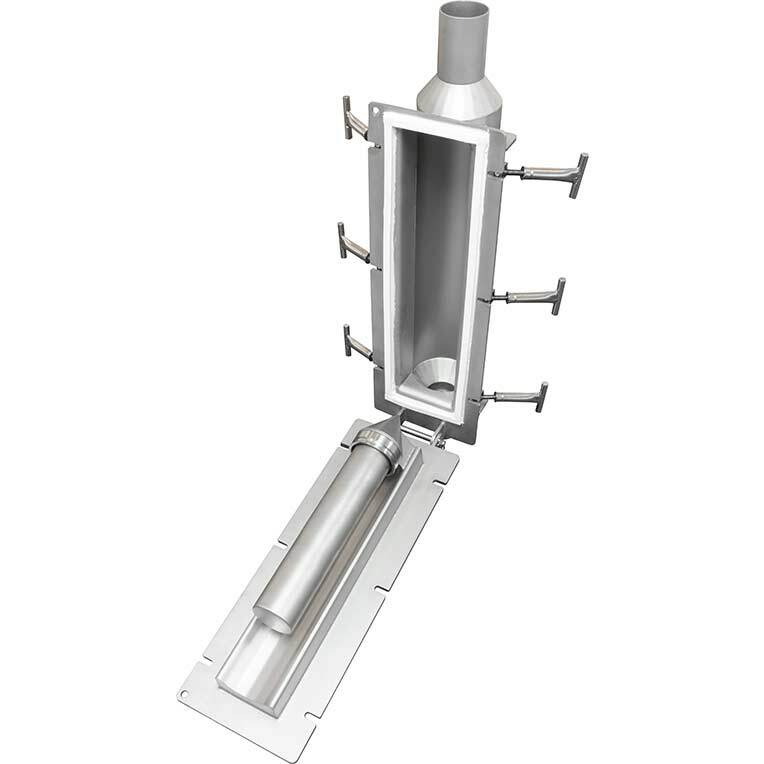 Our Sanitary Grade Bullet Magnets are USDA AMS accepted Dairy, Meat and Poultry magnetic separator processing equipment. Trade in Non-IMI manufactured equipment and receive a discount off new equipment equal to the original amount paid. Download the Flyer or visit our promotion page for more details. Swap out the door of your existing IMI Bullet Magnet to quickly double your magnetic strength. Download the Bullet Upgrade Flyer for more information.